The sleazy Byun Ho-sung is not exactly Rumpole, but the lack of a corpse is the sort of loose end he masterfully exploits. However, at times it is unclear whether his client really wants to beat the rap. 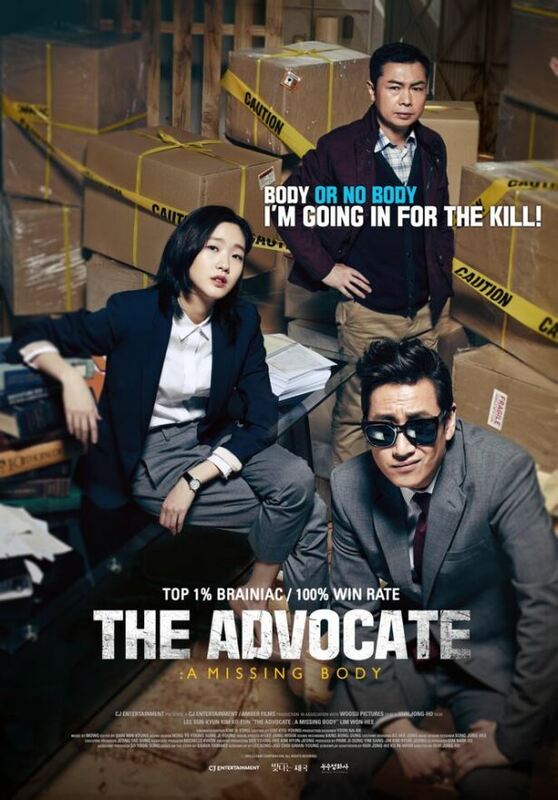 A rather complicated case unfolds both inside and outside the courtroom in Heo Jong-ho’s The Advocate: a Missing Body (trailer here), which opens this Friday in New Jersey. After winning a spectacular product liability victory for a big pharma company, Byun is personally requested by the charismatic CEO Moon Ji-hoon for an apparently hopeless charity case. His former driver Kim Man-suk is accused of killing the woman he was allegedly stalking. He was arrested in the dead woman’s apartment with blood on his shirt and his prints on the supposed murder weapon. There was a lethal amount of blood splattered, but the body is absent. Yet, just as Byun starts to make hay over other crime scene irregularities, Kim up and confesses in open court. Obviously, Byun smells a fix. With the assistance of his long suffering office manager, Mr. Park, Byun starts to follow the trail of clues back to Moon. Unfortunately, the shady company will push back hard. Frankly, it is sort of shame The Advocate eventually evolves into a conspiratorial legal-medical thriller, because it starts out as a refreshingly intriguing old fashioned murder mystery. Still, even though it is ostensibly a breezy comedy-thriller, Heo is not afraid to go dark for an extended period of time, which is cool. In fact, there is no way you can come out of the film with a higher regard for lawyers. Unfortunately, the dastardly Moon and his corporate crimes are predictably shopworn elements by now. Nevertheless, the high stakes intrigue offers a perfect showcase for the hardnosed and rubber-faced Lee Sun-kyun. Arguably, The Advocate could be considered the “Order” follow-up to the “Law” of his breakout hit A Hard Day. He takes a similar licking here and keeps on grimacing. 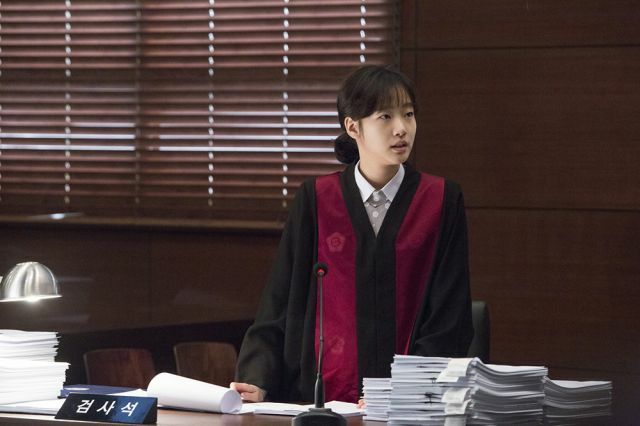 A chameleon-like Kim Go-eun stands her ground against him as the principled prosecutor Jin Sun-mi, who is still hung up on Byun, her former senior at school. Jang Hyun-sung’s Moon is an adequate but not inspired villain. However, Hong Song-duk really anchors the film as the mysterious and troubled accused. There are enough clever twists and turns unleashed at regular intervals to maintain the suspense and a good sense of fun. Although it is not as super-charged or wickedly sly as A Hard Day, The Advocate is slick and professional, just like the sort of mouthpiece you would want to litigate on your behalf. Entertaining in a swaggering with attitude kind of way, The Advocate: a Missing Body is recommended for thriller fans when it opens this Friday (10/23) at the Edgewater Multiplex Cinemas in New Jersey.